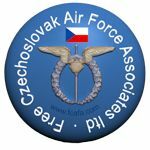 A guideline to insignia worn by Czechoslovak RAF personnel on their uniforms during WW2. Stitched, on a blue background. 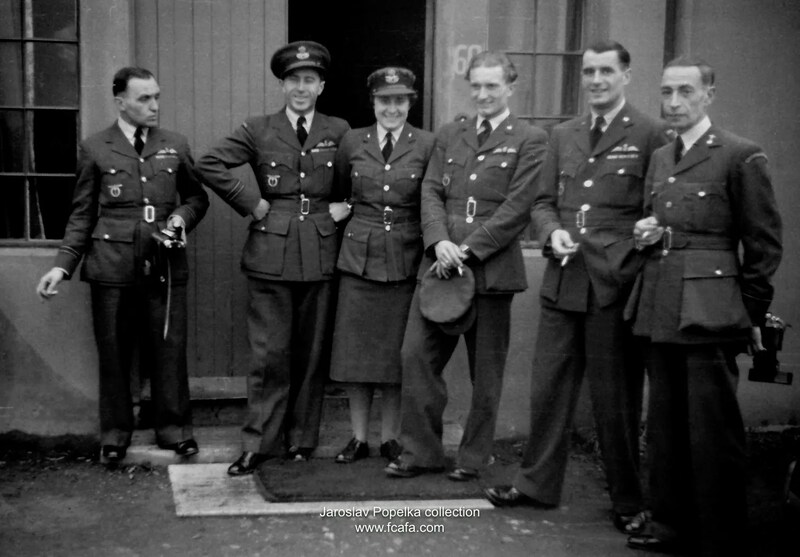 Stitched on a black background – Air Transport Auxiliary. 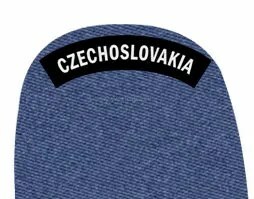 Stitched on a blue background. Printed on a blue background. Left shoulder, Eagle facing backwards. Right shoulder, Eagle facing backwards. 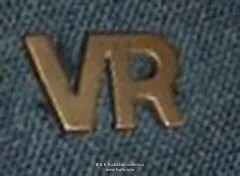 Worn on left breast of uniforms above any medals or medal ribbons. 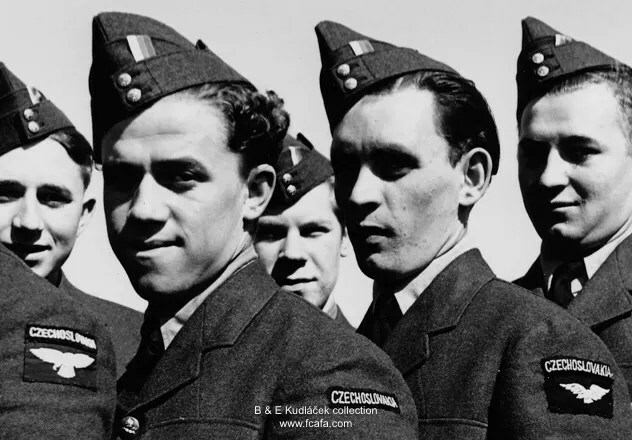 Adopted in 1918 by modifying the Royal Flying Corp [RFC] badge, replacing the letters RFC with RAF. 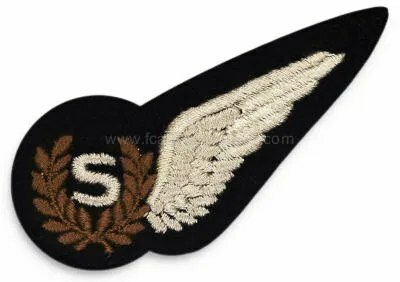 Wings of drab silk embroidery with monogram ‘RAF’ in centre, surrounded by laurel leaf of brown silk and surmounted by a crown – on dark blue melton cloth. 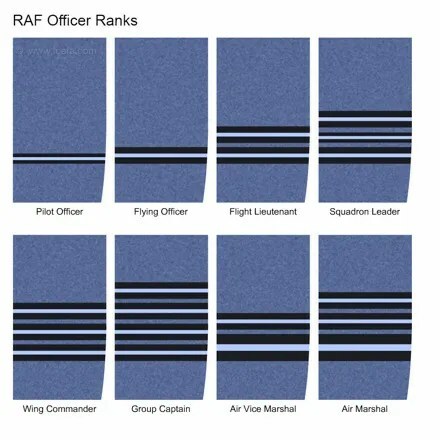 Adopted in April 1942 when the role of Observer was abolished and split into the two new categories of Navigator and Air Bomber. 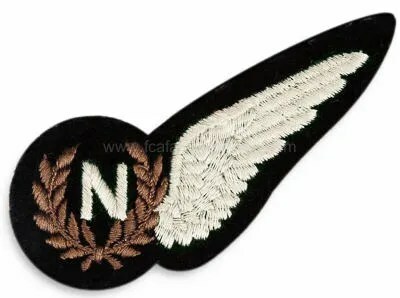 The letter ‘N’ of drab silk surrounded by a laurel leaf of brown silk with an outspread drab silk wing 21⁄2″ (6.35 cm) long – on dark blue melton cloth. 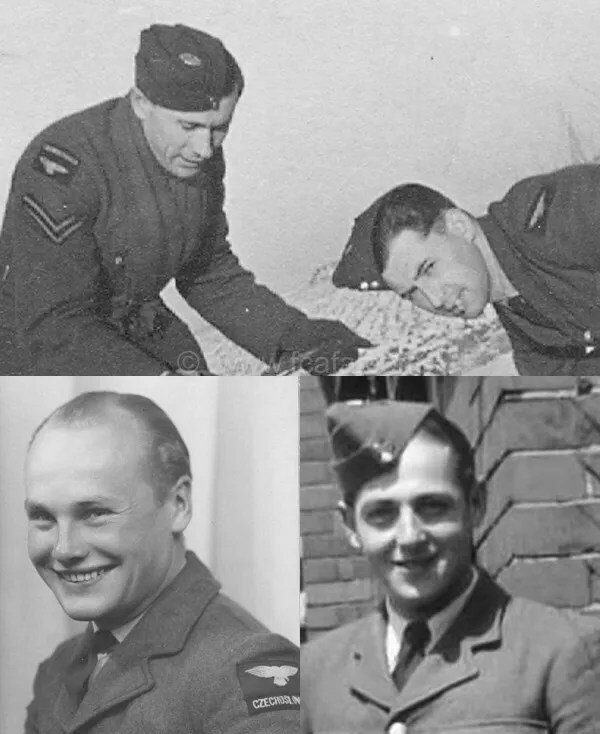 With the increasing complexities of airborne electronic equipment, the role of wireless operator was finally separated from that of air gunner in 1943. 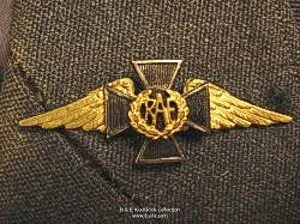 However, it was January 1944 before this new badge was introduced. The letter ‘S’ of drab silk surrounded by a laurel leaf of brown silk with an outspread drab silk wing 21⁄2″ (6.35 cm) long – on dark blue melton cloth. 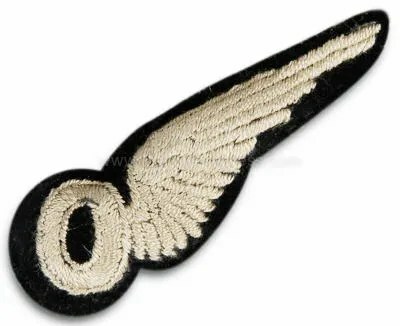 Introduced in 1941, the Radio Observer badge (later to become known as Observer Radio badge) was a security name for airborne radar operators. 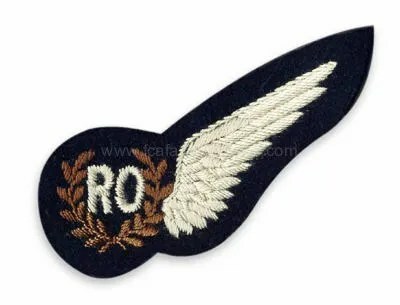 The letters ‘RO’ of drab silk surrounded by a laurel leaf of brown silk with an outspread drab silk wing 21⁄2″ (6.35 cm) long – on dark blue melton cloth. 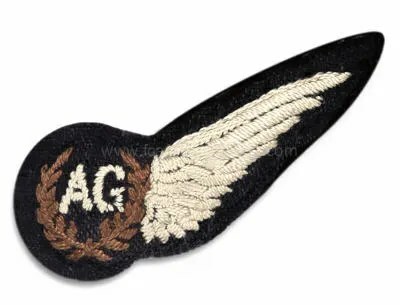 The letters ‘AG’ of drab silk surrounded by a laurel leaf of brown silk with an outspread drab silk wing 21⁄2″ (6.35 cm) long – on dark blue melton cloth. 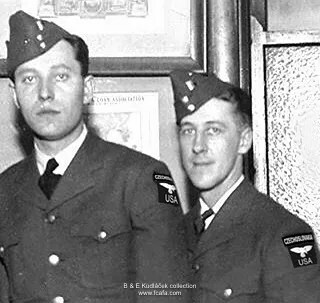 Aircrew who were Wireless Operators / Air Gunners wore the Wireless Operators sleeve badge as well as their Air Gunners badge on their upper right arm. 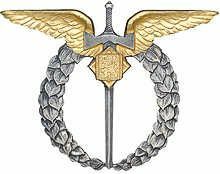 This badge was originally introduced in September 1918, but ceased at the end of WW1. 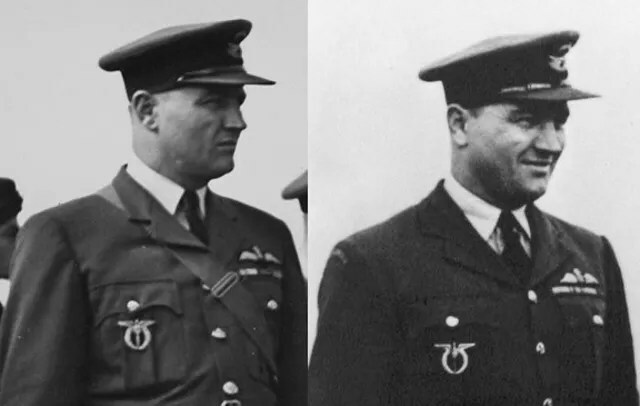 Was re-introduced in 1920 and is used to the current day. 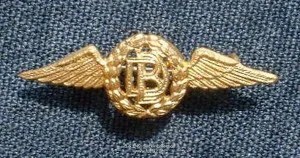 Badge introduced in 1942 following the introduction of four-engined heavy bombers into the RAF which required an additional crew member. 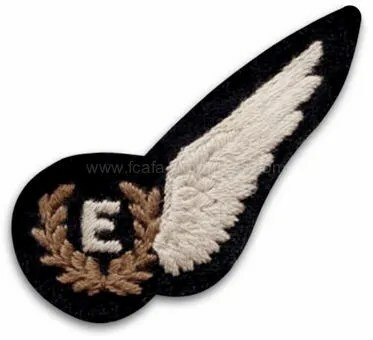 The letter ‘E’ of drab silk surrounded by a laurel leaf of brown silk with an outspread drab silk wing 21⁄2″ (6.35 cm) long – on dark blue melton cloth. 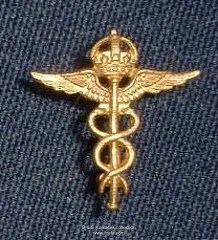 Worn by RAF personnel serving in the Medical Branch. 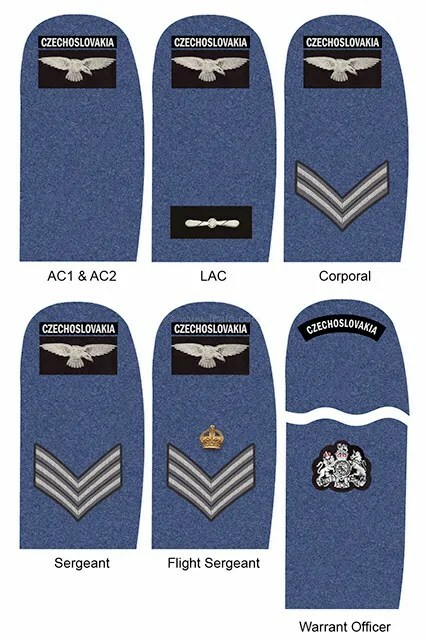 Worn by RAF Chaplains personnel serving in the Chaplain Branch.